There are three different tiers of Marine communication platforms: Mission Critical, Professional, and Commercial. So, how do you know which of these tiers offers what you need? The Commercial Tier is the most commonly used, and has been around the longest. Easily the most affordable option, this tier should only be used for smaller yachts and less critical missions. It does not offer the same reliability or advanced features as the two other tier systems. The Professional Tier System is the middle option, offering better coverage and security than Commercial Tier. It’s a solid option but it’s not as reliable as the Mission Critical Tier System. The Mission Critical Tier is the top option offering guaranteed performance. Hence, why it’s used by First Responders like Police Departments and Fire Personnel. Continue reading to learn more about all three tiers of marine communication platforms. This is the top system used for mission critical tasks and to protect public safety, as performance is guaranteed. Regarding ships, TETRA is the main platform used; it is the same network employed by many Fire Departments and other First Responders. And for good reason. 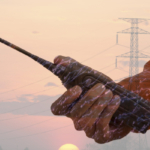 This network is proven to offer reliability for digital radio communications. Keep in mind, larger vessels require several repeaters that synch together via a Cat5 network cable. What are the benefits of TETRA? 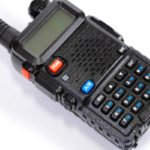 Make private calls to on-board radios without having to carry around two different radios. 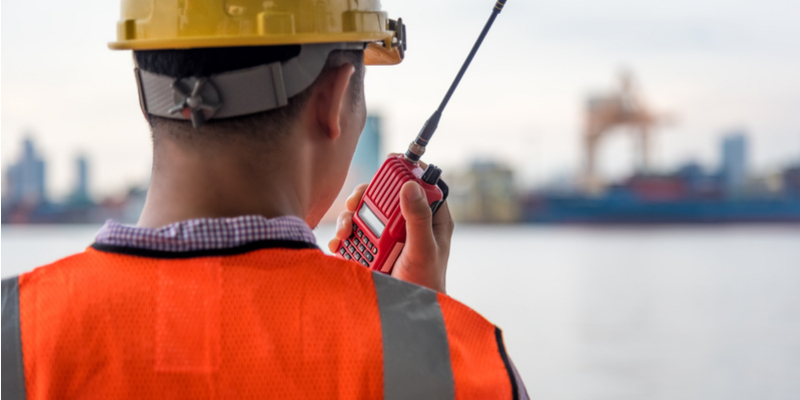 Integrate radios with the ship’s PBX to make and receive ship-to-shore/shore-to-ship calls. 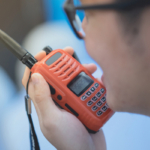 All TETRA radios are rated IP67, allowing for submersion up to 1m for as long as 40 minutes. They are durable, waterproof, full feature, and intrinsically safe. You can opt in for 24/7 Network Monitoring and Support, as well as Remote Analysis of Network. After the most secure Public Safety tier comes #2 on our list, the Professional Line of Digital Mobile Radios (DRM) radios. This tier radio is used on yachts of all sizes. A DMR network may be made up of one or several repeaters joined together with a Cat5 network cable. Vessels that measure over 50m typically need to add at least one repeater for full coverage across the boat. This is a more affordable option with a lot to offer, but when compared to the Mission Critical Tier System, it offers decreased reliability and coverage. What are the benefits of DMR? 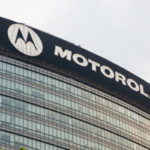 You have options with several different manufactures including Kenwood, Motorola and Hytera. Commercial Tier radios are the most commonly used on yachts today, and they have been around the longest. They offer traditional radio-to-radio analog communications via VHF or UHF bands. While this can offer good coverage, it doesn’t necessarily offer the coverage necessary for larger yachts and more intricate vessels. Analog radio-to-radio communications cannot offer the same level of coverage or the same rich features offered by digital radios. This type of radio will work good to communicate across the deck, but not necessary all throughout the vessel. We recommend only using this tier system in yachts that measure less than 50m in length. In some cases, higher tier communication platforms can be beneficial to smaller ships as well. Have additional questions or concerns? Contact us today!